The Supreme Council for Shari’ah has asked the federal government to prosecute TY Danjuma, a former minister of defence, for treasonable felony. The council said this in reaction to Danjuma’s statement at the maiden convocation of Taraba State University. The retired general had asked Nigerians to defend themselves against killers , saying the armed forces have been biased in its responsibility of securing the country from attacks. The council, however, sees Danjuma’s statement as unfortunate. 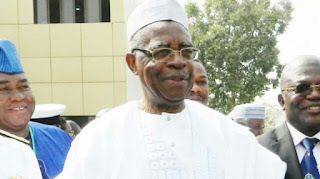 In a statement released Tuesday, Yusuf Rigachikun, Kaduna state chairman of the council tagged Danjuma’s statement as unguarded from a retired army general. “The recent call by General T. Y Danjuma on the citizens to take up arms to defend themselves and the accusation of the Nigerian armed forces colluding in the killing of Nigerians is quite unfortunate,” the statement read. “It is pertinent to note that for a person of his calibre to openly call on citizens to take up arms because of demilitarisation being carried out by the Nigerian Army is a call to anarchy and also a call to treason and treasonable felony. “The council calls on the federal government to invite, investigate and prosecute the general for such a most unfortunate statement in the presence of students who are known to be volatile and prone to youthful exuberance.